This small but very bright nebula sits on the wing of Sh2-296 otherwise known as the Seagull Nebula. 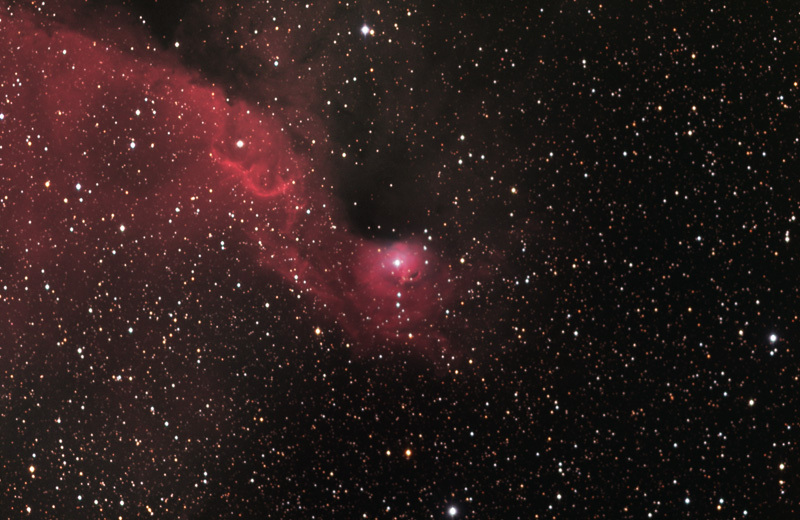 Most of the nebula seen in this image is SH2-296 where Sh2-297 lies in the middle of the image. 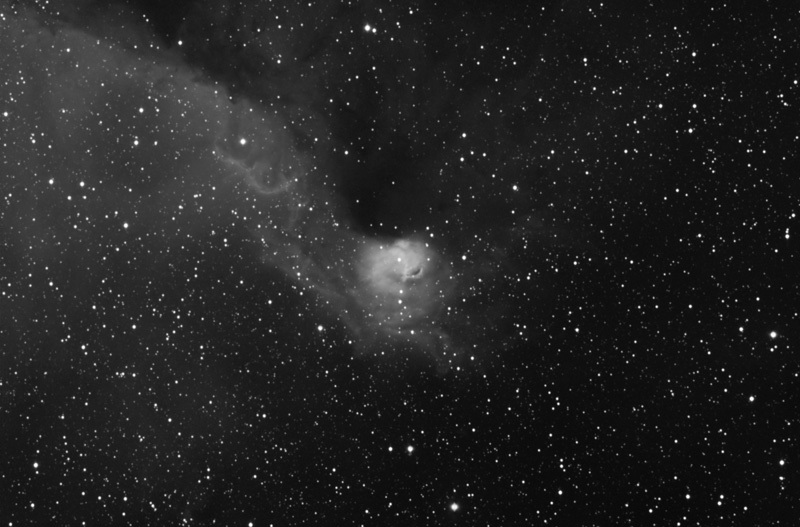 This nebula also has some reflection nebula so a nice color image can be done without narrowband filters. You can use a hydrogen-alpha filter to help bring out the nebulosity in the Sh2-296 but it is not really needed if your field of view only covers Sh2-297. You can also use the oxygen III and sulfur II to create a narrowband color image. If you use the H-Alpha filter to make a HA-RGB image, you can create a composite with the RGB to preserve the reflection nebula.